One of the most important schemes of 2015 was the PMAY scheme and it was formatted with the objective of developing house for all the people. But before we delve deep into the scheme, the balance transfer facility is one of the most important features incorporated in this scheme. Now, what is balance transfer? The balance transfer is actually a facility that is offered through by the financial institutions and also the credit card issuing companies that enables them in transferring the existing outstanding or debts from one credit card to another. The credit limit of the new card or the card that is less used, on which individuals want to make the transfer of balance amount is reduced proportionately for balancing the transfer amount. Another important factor of this scheme is known as the MIS. This is called the monthly income scheme. Within this feature interest is paid at the similar rate, monthly or yearly on fixed deposits that are accepted for any time period from 1-10 years. The interest that is paid monthly is on a discounted value and that amount of interest is credited to the savings, current and cumulative account of the depositor at the last week of every month. Also there are nomination facilities available for this scheme. And the deposit amount can be placed for 6-12 months. In case the borrower has attained a housing loan and also taken up the subvention loan within this scheme, but he/she later on switches to the PLI for balance transfer, then such beneficiary shall not at all be allowed with interest or the subvention again. Yes the beneficiaries are allowed to apply for getting home loan sanctioned within the tenure of 30 years, but it would solely depend on the norms and due diligence of PLIs concerned. In those situations, interest subsidy shall be restricted to home loans upto 6 lakh. For the MIS code, all the accounts that have been financed within the scheme to specifically mention the MIS codes are actually under for monitoring the performance within this scheme and also they are used for the management of subsidy. 1. 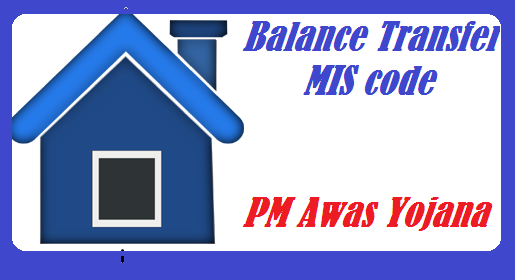 The balance transfer In case the borrower has got a housing loan and taken up subvention loan in this scheme, but then he/she opts for the PLI for balance transfer, then such beneficiaries are not allowed with the interest or subvention. 2. MIS code All the accounts that are financed within this scheme, comprises of specific MIS codes that are used for monitoring performances. Q- i have taken a loan form icici bank & now i transfer my loan from icici to HDFC bank. Can i take PMAY subsidy . Q-if i purchase a property & seller is already loan running on that property with icici bank & now i am purching that proeprty & taking loan form hdfc bank, can i avail PMAY subsidy benefit or not.